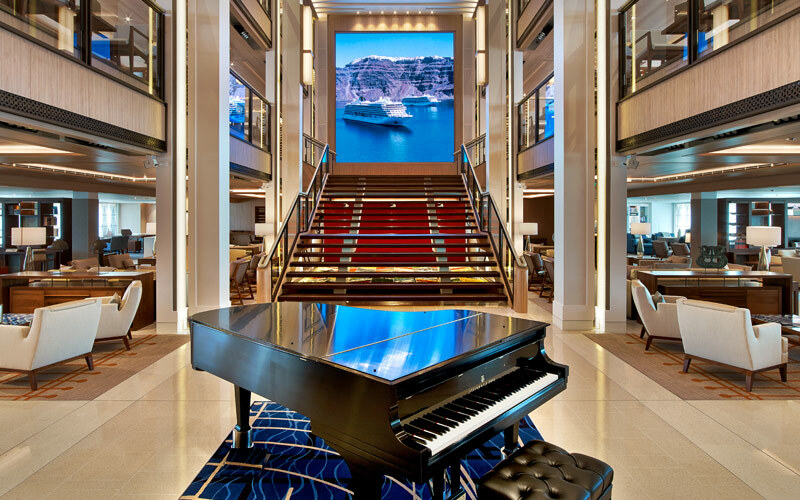 The intimate setting on Viking Sea is designed to foster camaraderie among guests while making fascinating discoveries at every port-of-call. 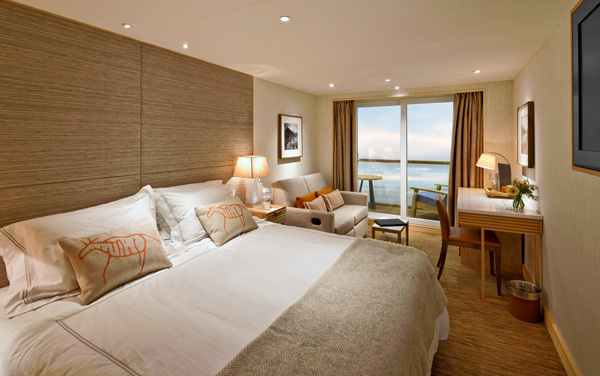 Viking’s second oceangoing ship has a 930 guest capacity, and her understated elegance is a staple of the cruise ship. 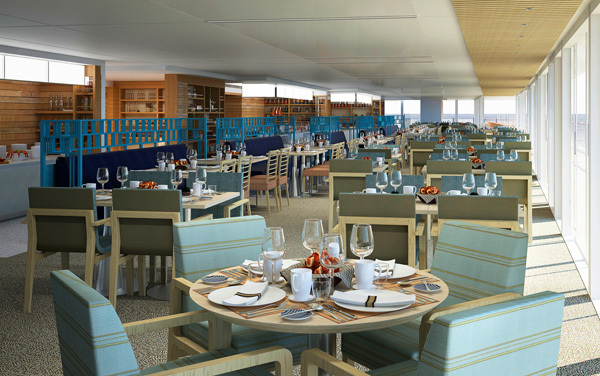 However, its modern Scandinavian design has a nautical touch only known to Viking Cruises. 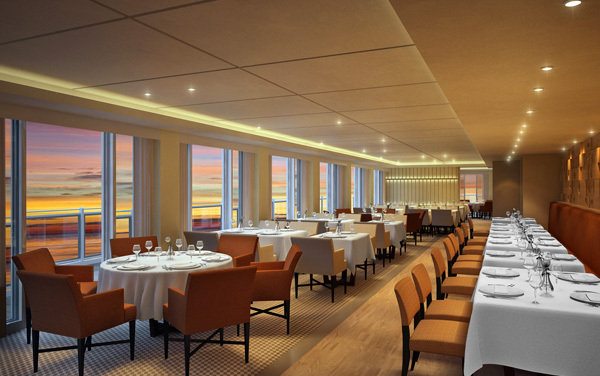 With a 3-million-euro investment in art onboard, you can count on engaging with thought-provoking paintings and sculptures from artists like Edvard Munch and Jakob Weidemann. 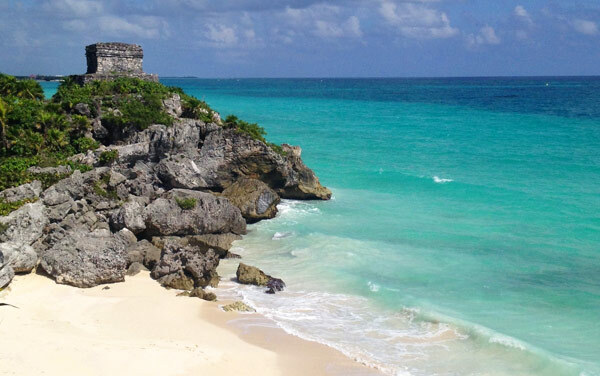 Join other world explorers as you indulge in destination-focused menu that highlight local cuisine. Stop by for cocktails at the Viking Bar located on the ground floor of the atrium and enjoy destination-driven movies in one of two Viking Theaters aboard Viking Sea. You’ll love sampling fine Scandinavian fare in the Explorer Lounge and visiting the Wintergarden filled with charming Scandinavian elements meant to provide a soothing airy space for relaxation. 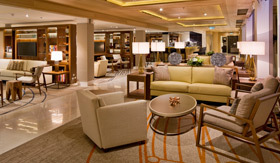 All staterooms and suites include a veranda and range from 270 square feet to over 757 square feet in total size. 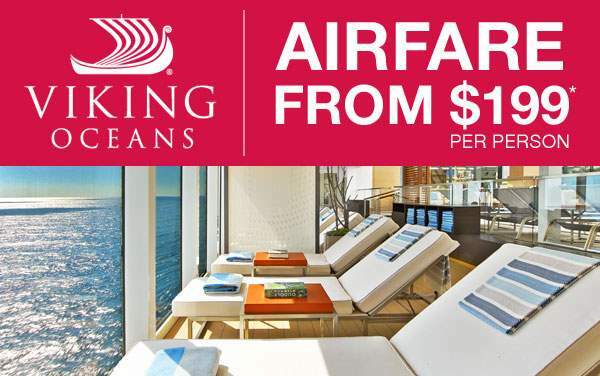 To learn more about cruising aboard Viking Oceans’ Viking Sea, contact The Cruise Web today at 1-800-377-9383. 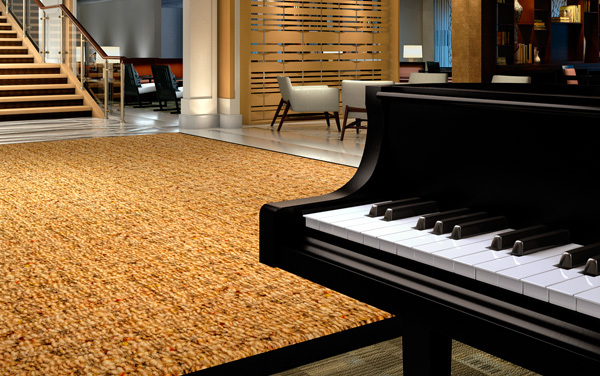 Enjoy melodic piano tunes, live entertainment and planned activities in the most inspired living room at sea. 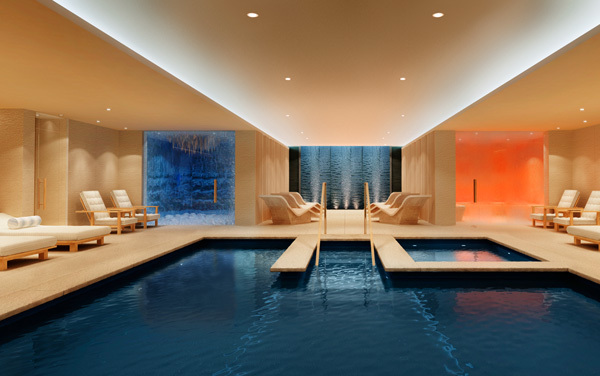 This perfect relaxation setting is spacious, warm and adorned with well-curated pieces designed to bring out the best in the environment. Stimulate your mind at the Viking Library located in the same room. 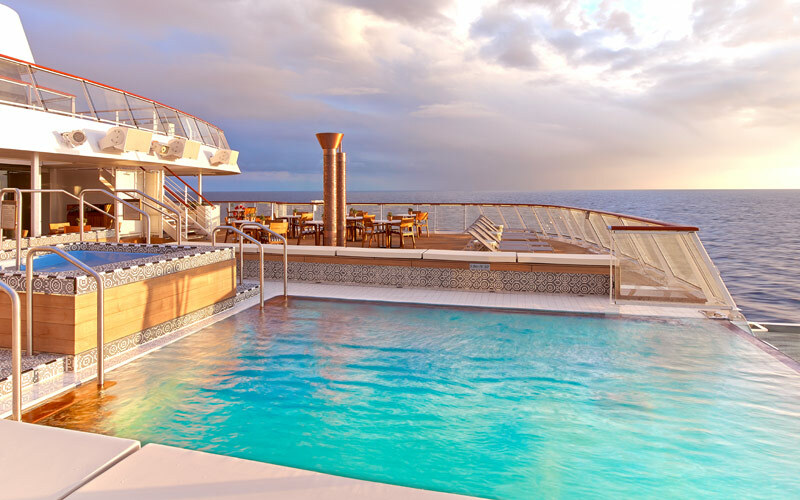 They say ‘variety is the spice of life’ and we say ‘Viking Sea gets this concept like no other’. 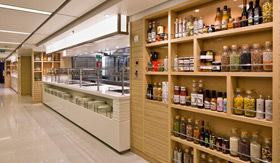 Indulge your taste buds in American classics, European fare, Chinese cuisine, Japanese sushi and many more when you head down to the World Café. You are guaranteed an amazing al fresco dining experience. Seriously! Watch in awe as snowflakes delightfully fall from the ceiling to revitalize and stimulate your circulatory system. 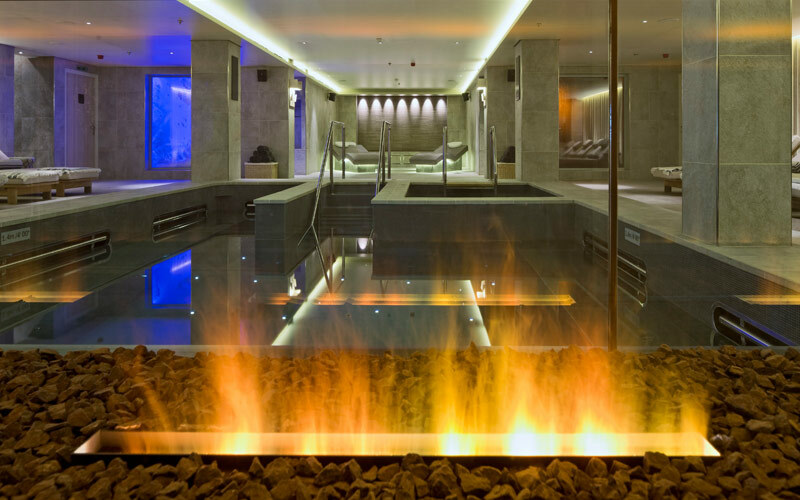 The ambience is perfect for holistic wellness, while the centuries-old Nordic tradition infused in the sauna makes for a wonderful spa experience. Being one of the youngest cruise lines in the industry, Viking Oceans is sticking to sailings in Europe. 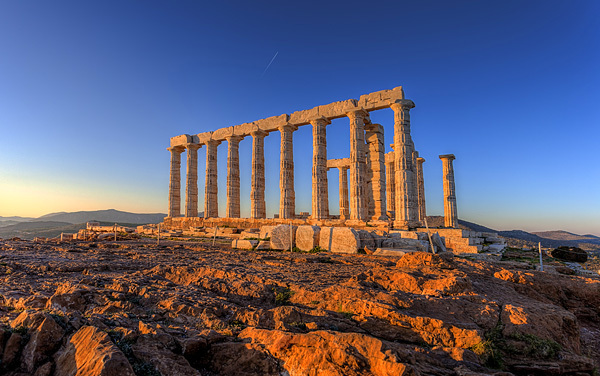 Their elegant ships offer Mediterranean itineraries where you’ll experience all aspects of the culture from trying the exalted cuisine to visiting the sights that continue to inspire artists and intellectuals to this day like the lavender fields in Aix or the Parthenon in Athens. 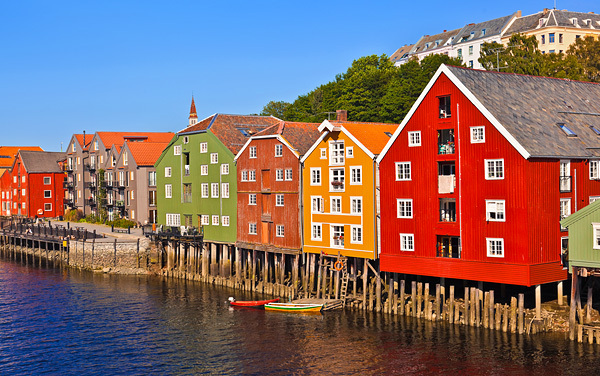 There are also northern European itineraries that focus on the Viking culture of Scandinavia and the beauty of the Norwegian fjords. 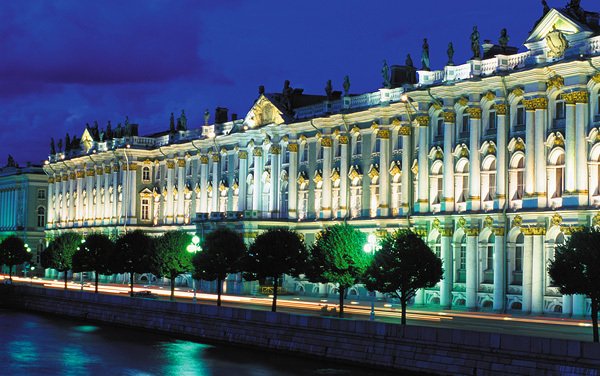 Some itineraries also sail as far east as St. Petersburg, Russia, for a few days in that magnificent city. 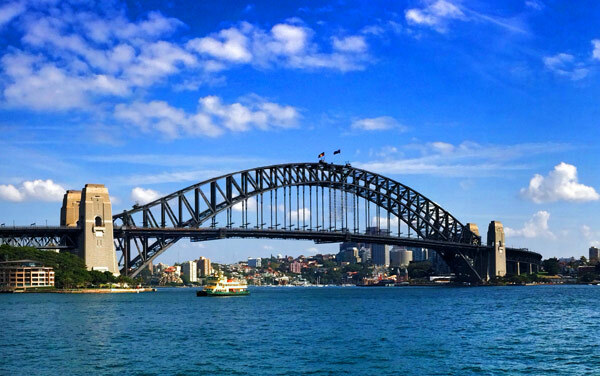 The Land Down Under isn’t a figment of your imagination. It’s a keeper of Victorian treasures, art deco glories, earthy sounds of the didgeridoo, thrilling dances of the Maori and the historic enclave of the Rocks District. 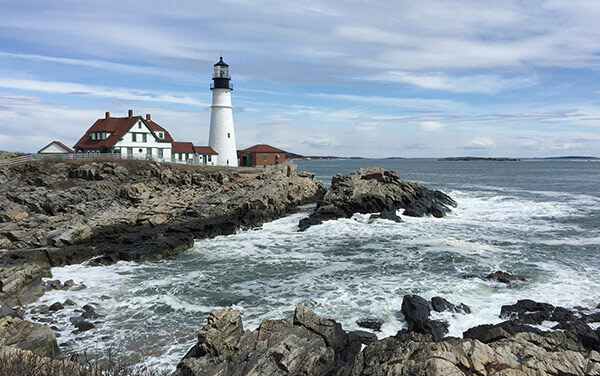 Enthralling history, mesmerizing landscapes and charming cultures await on a Canada and New England voyage with Viking Oceans. 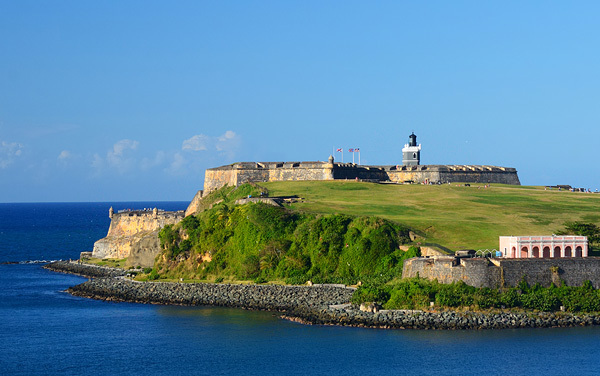 Experience rich island cultures and dazzling blend of turquoise waters, emerald isles, European legacies, magnificent natural beauty and breathtaking manmade wonders on your Viking Oceans cruise to the Caribbean. 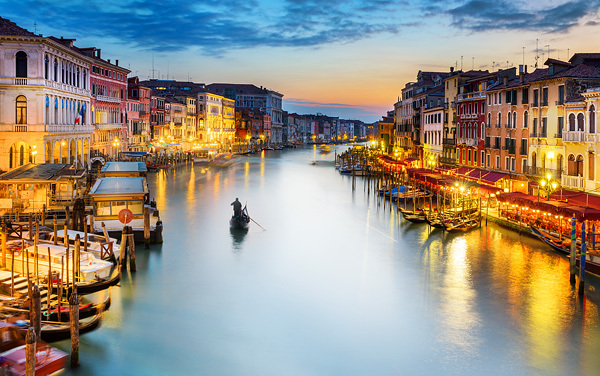 You can feast on the finest Mediterranean cuisine and delve into the history of art in France and Italy with a cruise to Europe. 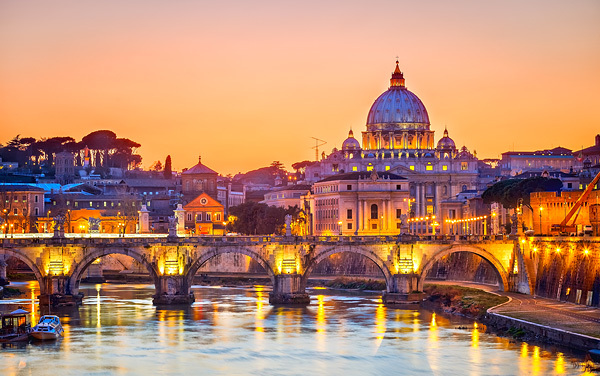 Explore sacred European treasures, sample the world’s finest wines, be enlightened on the source of world religions and witness the birthplace of democracy on your Viking Oceans cruise to the Mediterranean. 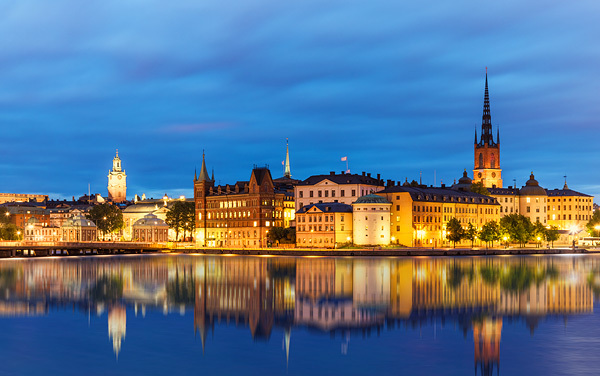 From palaces and cathedrals to museums and cafés, marvel at the magnificence of old-world architecture as you hop from one spectacular sightseeing adventure to another on your Viking Oceans cruise to Northern Europe. 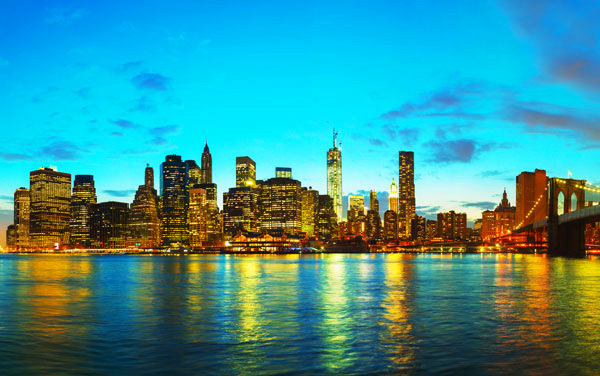 Sail where old and new worlds meet while enjoying an enriching transatlantic voyage with Viking Ocean Cruises. 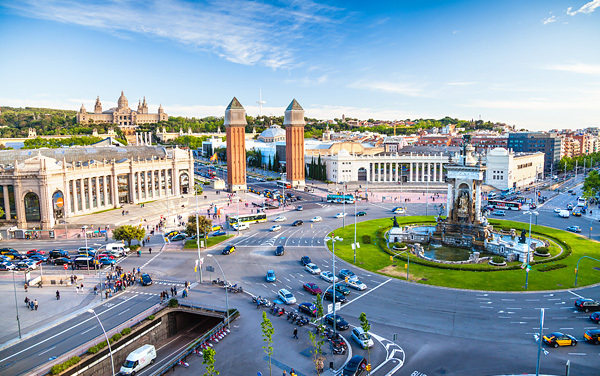 Go in-depth in Europe with a cruise on the brand-new Viking Oceans cruise line. 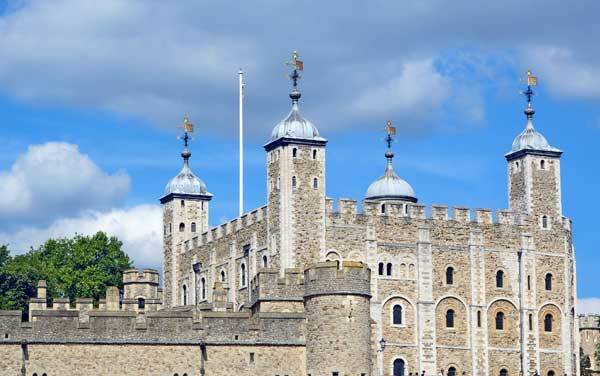 Viking Oceans is committed to enriching each of their passengers with the rich culture and heritage of Europe. 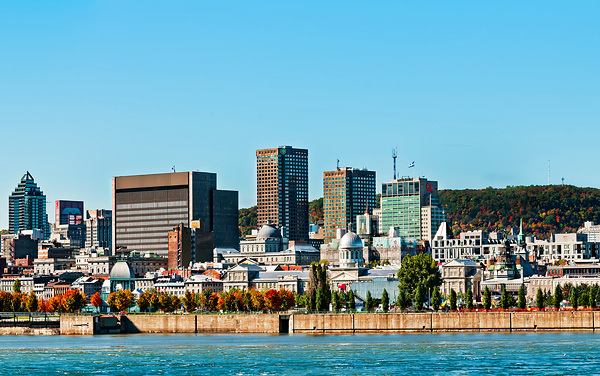 Their first set of itineraries embarks from major cities on the continent like Istanbul, Barcelona and Stockholm. 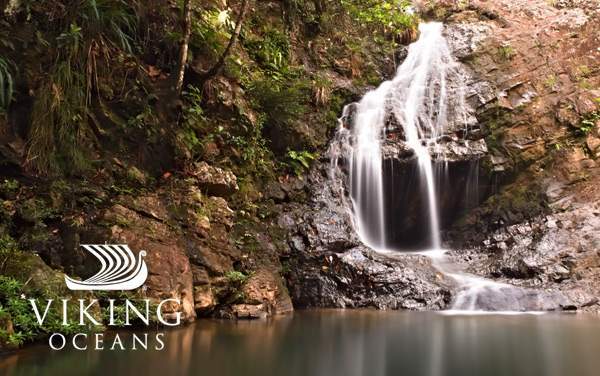 If you want to learn more about this new cruise line keep exploring our site and give our expert cruise consultants a call. 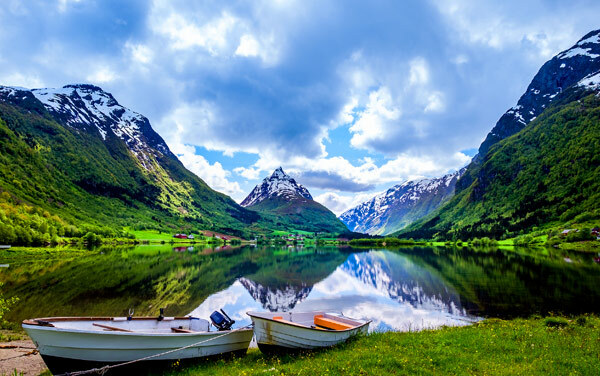 Explore Norway’s natural beauty in Bergen, the country’s largest city, which offers the best of Norwegian famous fjords. 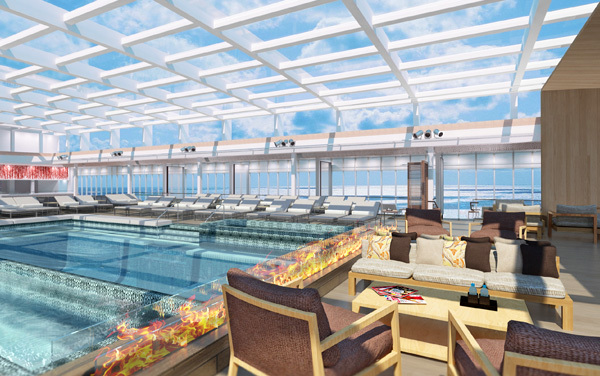 Want to learn more about Viking Oceans, the newest cruise line to sail the seven seas, then check out this photo gallery with images of their upcoming ships. 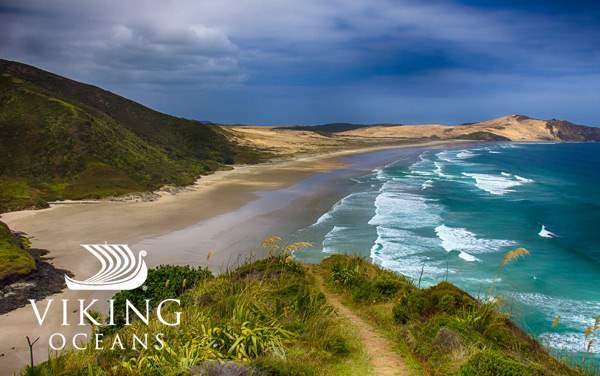 Learn about Viking Oceans' handicap accessible ocean cruises and accommodations for guests with special needs or disabilities. 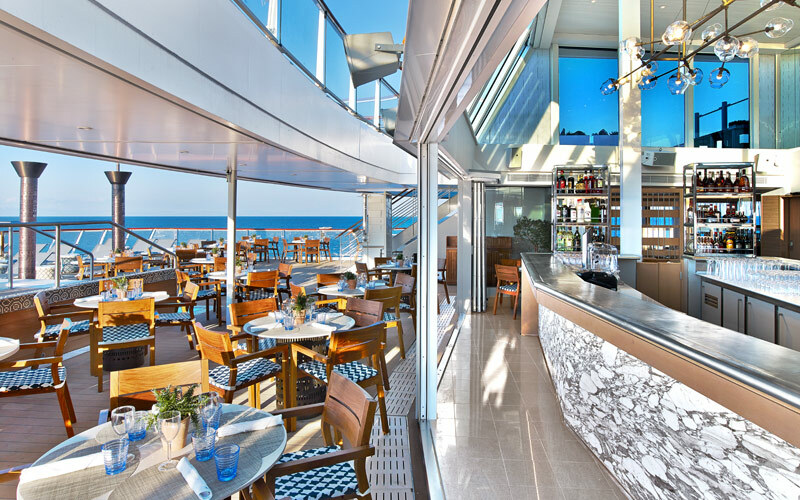 Savor dining aboard Viking Oceans cruises, including main Restaurant, Italian Grill, World Café and indoor/outdoor Aquavit Terrace. 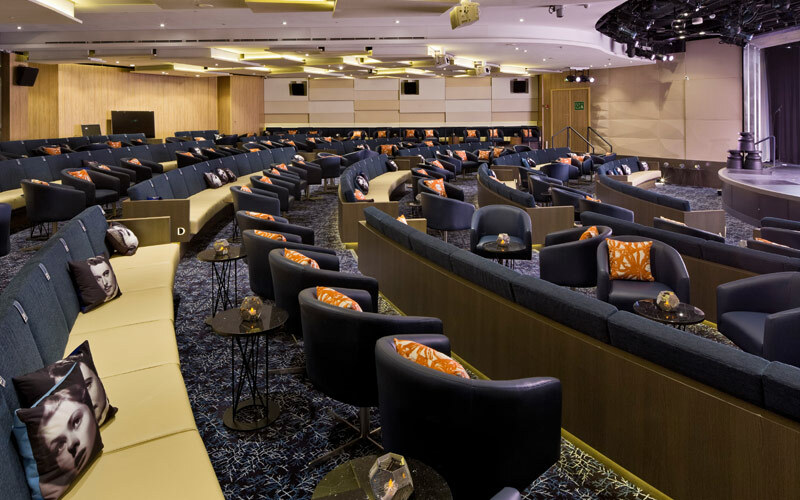 Enjoy Viking Oceans' onboard entertainment, including theater shows, onboard movies, lively bars and friendly lounges. 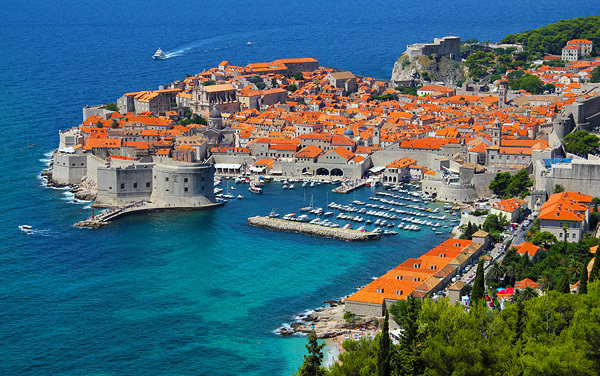 Engage in Viking Oceans' onboard activities, including pools, cooking demonstrations, port lectures, cultural enrichment programs and more. Learn how Viking Oceans takes care of your every need with an extensive list of onboard services. 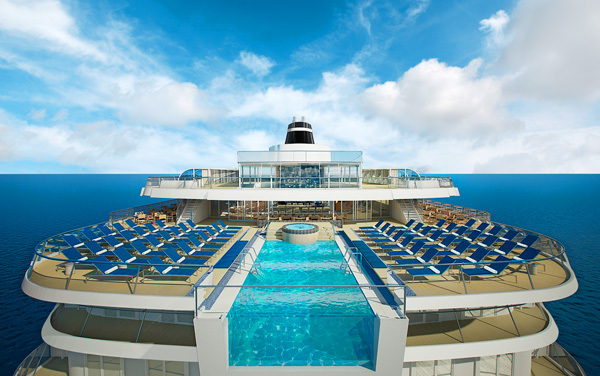 Plus, view Viking Oceans' cruising awards. 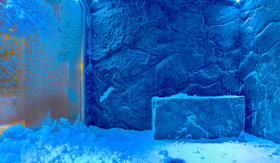 Relax in Viking Oceans' onboard spa with a snow grotto and sauna, as well as the relaxing Wintergarden lounge. 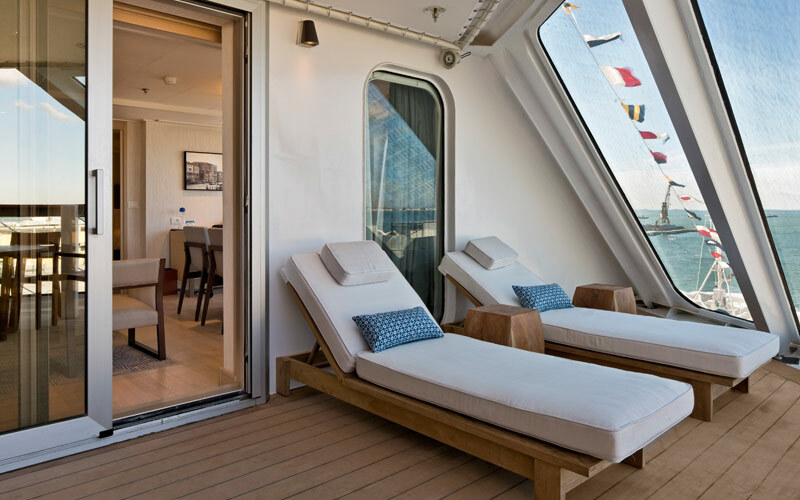 Explore Viking Oceans' all-veranda cruise staterooms, including Explorer Suites, Penthouse Suites, Penthouse Verandas, Deluxe Verandas and Verandas. 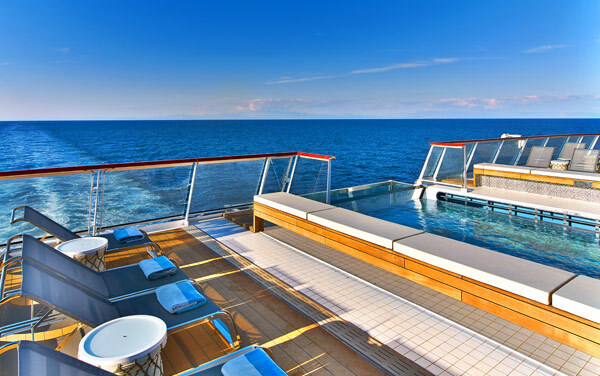 Learn about cruising with children aboard Viking Oceans. There isn't a formal youth program yet, but we'll provide more information as it becomes available.